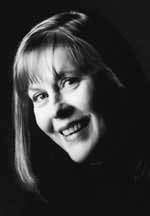 Canadian author Martha Brooks has penned award-winning short stories and several powerful novels for young readers, as well as several plays, all of which deal with the universal themes of love and loss. Her finely drawn characters learn to deal with the trials life sends their way and grow because of such trials. Brooks's first collection of short stories, Paradise Cafe and Other Stories, was nominated for the prestigious Governor General's Award for Children's Literature in Canada, and "is a significant title in Canadian Young Adult literature for its 1988 publication signaled a rebirth of the short story collection as a legitimate vehicle for adolescents' recreational reading," according to Dave Jenkinson writing in St. James Guide to Young Adult Writers.